Set a PIN number before shopping the first time (use the oldest school-age child’s birthdate when requested). Check your balance (your balance is also shown on your grocery receipts). Report your card as lost, stolen or damaged and get a replacement card. Report a shopping problem (call while in the store, if possible). If after hours or on weekends, take a picture of the receipt, the error on the register screen, or the products you were not able to purchase, and call us the next business day. New – the WICShopper App! Use the shopper app to check your balance, scan barcodes while in the store to find out if a product is an approved item and if it is in your balance, find store locations and more. The dates benefits begin and end for each of the three periods. Unused benefits roll over and expire at midnight on Aug. 14. The amount of each kind of food available during each benefit period. A list of approved foods can be found on the food card included in your Summer EBT packet and by using the WICShopper App. The foods you receive are healthy foods chosen by USDA nutrition experts. While in the store, look for the “WIC Approved” shelf markers. A list of approved stores is included in your Summer EBT packet. Tell the cashier you will be paying with Summer EBT and show your card. When instructed, swipe your card and enter your PIN. All foods which are approved and in your balance will be paid for by Summer EBT program and will be removed from your balance. Foods not on the approved list or not in your balance can be voided by the cashier before you approve the sale, or you may pay for them with another form of payment. If you go over your balance, you may pay for the rest with other means of payment. You may use coupons. With “two for one” or similar coupons, the SEBTC program will pay for one and you will receive the other free. With “cents off” coupons, the coupon amount will be deducted from the price paid by the SEBTC program. If you receive WIC, you cannot use your WIC card and your SEBTC card in the same transaction. Frequently asked questions and answers can be found at www.Chickasaw.net/SummerEBT. Q: When can I purchase foods? Unused benefits roll over each month and all benefits expire at midnight on Aug. 14. Q: What if my item does not scan as an approved item at the register? A: You may have selected a food item that is the wrong size or wrong brand. You may not have enough of that item in your balance. You can choose to pay for that item or tell the cashier to void the item. You can report the item to our office so we may investigate. If possible, take a picture of the UPC and label, or write down the UPC, brand and package size. You may call the Summer EBT office at (580) 272-1178 or (844) 256-3467 while in the store (8 a.m. to 5 p.m. Monday-Friday). You can use the Summer EBT Shopper App to help you find approved foods and check to see if they are in your balance. Q: If the store is out of certain items like milk or bread, will I lose my benefits? A: Summer EBT benefits now roll over each month. You do not have to worry about your benefits expiring until midnight on August 14. We recommend you start shopping at the beginning of the benefit period and shop throughout the month to ensure you get all your benefits. You can shop multiple times in a month. You can try shopping at another approved store in your area. Q: Can I get 2% or whole milk with summer EBT? A: No, Summer EBT cards cannot be used to buy whole milk or 2% milk. Summer EBT allows low fat (1% or ½ %), fat free (skim) milk and buttermilk. Low fat milk is a healthy choice for you and your family. We understand some people are not used to the taste of low fat milk. When moving to low fat milk, take your time. Try mixing whole or reduced fat (2%) with the low fat milk for a few days. This will help your kids get used to the new taste. After a few days try using only the low fat milk. Try using the low fat milk in your cereal. Q: My child is lactose intolerant. Are there other milk options? A: Yes, you can buy lactose free milk with your Summer EBT card. It must be fat free or low fat. Q: My family cannot drink all the milk before it expires. What should I do? A: If you have freezer space, milk can be frozen. There are also shelf stable milk options such as dry milk (powder milk) and evaporated milk (canned milk). Q: I have two kids and tried to buy a 2-pound block of cheese. Why was it denied? A: Cheese must be bought in a one pound (16 oz) package only. If you have two children, you can purchase two packages that are one pound (16 oz) each. Q: I have 8 oz of cereal left on my benefits but I cannot buy an 8 oz box. What can I do? A: When buying cereal, planning ahead is the best way to take advantage of all your benefits. Before you make your purchases, add up the total amount of your boxes to make sure you are getting the most out of your benefits. Each child is issued 18 oz of cereal each month. You can buy cereal boxes from 11.8 oz to 36 oz. Benefits roll over so if you have a remaining balance from the first month, it will be added to your balance for the second month. Your benefits expire at midnight on Aug. 14. Q: What if the store does not have a 16 oz loaf of bread? A: Approved stores must carry bread in the correct size. The store may be out of stock. Ask store personnel if they have 16 oz loaves of bread anywhere else in the store or in the back of the store. If the store is out of stock, ask a store manager when their next shipment comes in so you can plan your next shopping trip. You can buy other whole grain options including brown rice, bulgur, oatmeal, soft corn tortillas, whole wheat pasta and whole wheat tortillas. See your food card for the approved package sizes. Q: My child is allergic to gluten, what can I get instead of bread? A: Soft corn tortillas are a gluten free alternative to bread. Look at your food card for package sizes. Q: Why did I have to pay for my fruits and vegetables when I have money in my balance? A: Sometimes items will have a new barcode that we do not have in our system. We see this most often with fruits and vegetables. If you find something that is not approved by Summer EBT but you think it should be, take a picture of the barcode or write down the number and give us a call to let us know. The store is unable to add items to our approved list, but we can look into it and add the item if it is something that should be approved. Q: How do the peanut butter/beans/peas buying options work? A: Each child is issued one unit in the peanut butter/beans/peas category. Your food card shows container/can sizes, brands allowed and items not allowed. You can use the Summer EBT Shopper App to help you find approved foods and check to see if they are in your balance. o Informar que su tarjeta se perdió, se la robaron o se dañó, y obtener una tarjeta de reemplazo. o Denunciar un problema de compras (llamar desde el comercio, si es posible). Si el problema ocurre fuera del horario de atención o durante un fin de semana, saque una foto del recibo, el error en la pantalla de registro o los productos que no pudo comprar y llámenos el primer día hábil. • Nuevo – Aplicación para el comprador del EBT de verano. Use la aplicación del comprador para comprobar su saldo, escanear códigos de barra en los comercios para saber si el producto está aprobado y si lo puede comprar con su saldo, encontrar la ubicación de tiendas y mucho más. • Hay una lista de alimentos aprobados en la tarjeta de alimentos incluida en su paquete del EBT de verano, y también se la puede obtener por medio de la aplicación para el comprador del EBT de verano. Los alimentos que recibe son alimentos sanos elegidos por especialistas en nutrición del Departamento de Agricultura de Estados Unidos. Cuando se encuentre en las tiendas, busque en las góndolas los artículos marcados como “Aprobados por el WIC”. • Se puede hacer compras todas las veces que se quiera durante el mes, no hace falta que compre todos los alimentos de una vez. o Cuando se lo pidan, pase su tarjeta por el lector e ingrese su PIN. • Si usted se pasa de su saldo, puede pagar por el resto de los alimentos con otro medio de pago. el otro gratis. 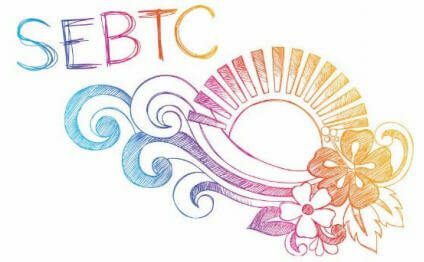 Con los cupones de descuento, el valor del cupón se deducirá del precio pagado por el programa SEBTC. Summer EBT for Children is an initiative of the Chickasaw Nation. This material is based upon work that is supported by the Food and Nutrition Service, U.S. Department of Agriculture.